I work in Whitefield. And I can’t wait to get away from it and rush home for dinner. So it goes without saying, that the only places I’ve tried in Whitefield are lunchtime escapades. Even lunch is generally in my office food-court, except for those Friday team lunch days where we venture out into the vicinity, to check out the overpriced, overrated buffets that most restaurants offer! Me heading out to Premier Inn, for a Friday night dinner, surprised most of my colleagues. But I have to admit, that the person most surprised at the end of the meal was me! 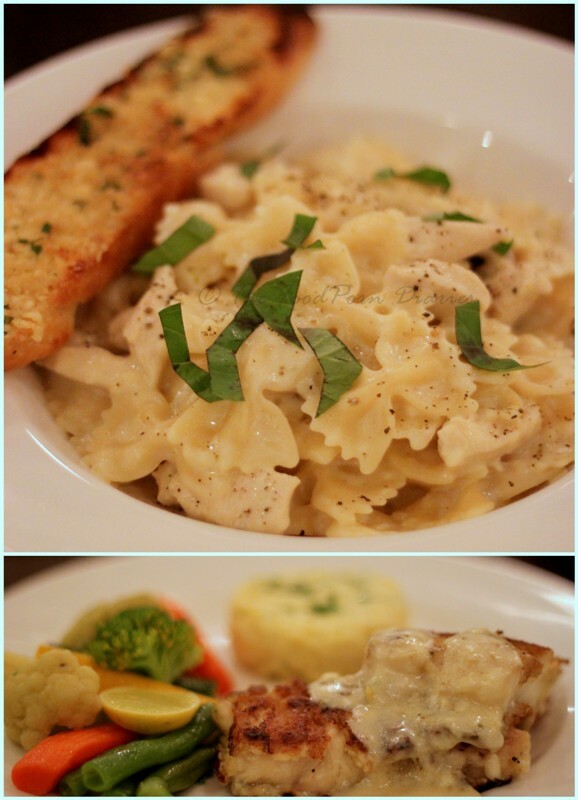 Honest, down-to-earth good food at a great price point. Can’t really fault that now can we? I was supposed to meet the CaL table members at 7:30 pm at Linx – their multi cuisine restaurant. My office is exactly 1.5 km away. So even calculating the worst possible traffic jam, I estimated 15 mins to get there. It’s amazing how the universe conspired against me – It took me half hour to get there! How many times will I need to learn that Bangalore traffic is an act of God and cannot be judged, estimated or trifled with! It’s good that Natasha was already there when I arrived and looked happy and content with a glass of white wine. I quickly scanned the bar menu (limited in cocktail choices but has all the favorites) and settled for the Margarita. They placed a bowl of spiced peanuts and instantly I was reminded of old Bangalore. The peanuts were addictive and I pleaded with the rest of the group to take it away from me, lest I make a meal out of it! 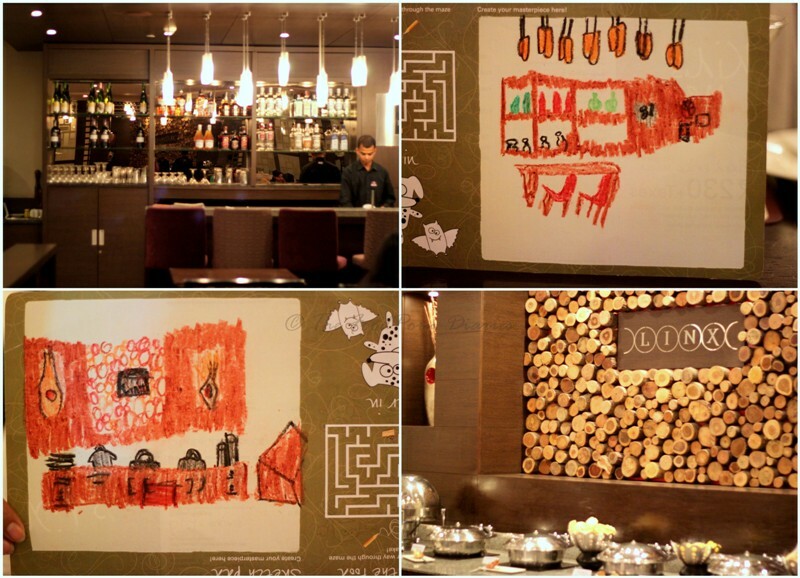 We had a little one with us that night and he was thrilled to get an order of delicious golden fries and cheese toast to keep him company along with some coloring sheets that the restaurant gave to keep him busy. Amongst the eight of us, we pretty much ordered everything off the cocktail menu. And no great innovations, but they got the flavors right! We got four starters in all (two for the vegetarians and four for the rest :P). The chef offered a recommendation and I’m glad we obliged. The Golden Fried Basket (the manager jokingly called it Chinese Pani Puri) was super fun to eat! Wonton baskets filled with corn and peppers over which you spoon a tangy sauce and pop the whole thing into your mouth. Of course ‘someone’ on the table HAD to get a paneer dish and the Panner Tikka it was. 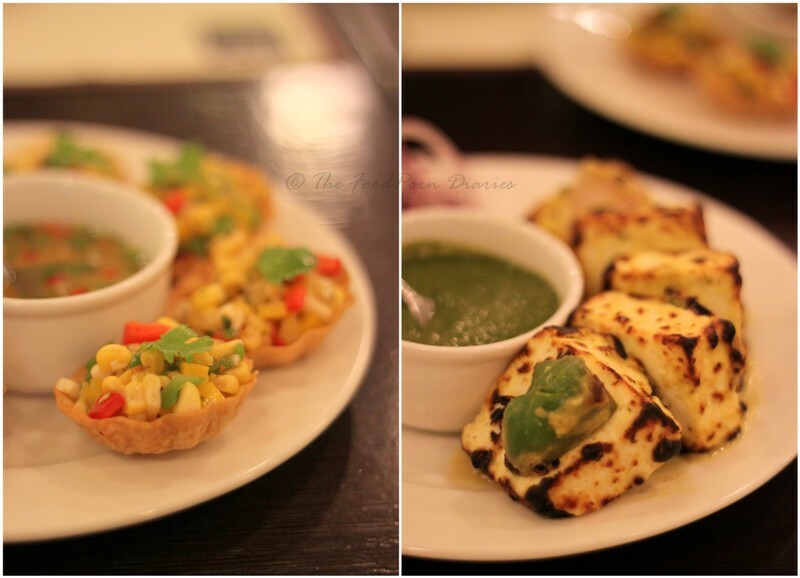 Now this was a blah – the paneer was not soft and the marinade insipid. The non-vegetarians hit a jackpot with their starters. Again we let the chef decide for us and I think for the rest of the evening we kept asking for his suggestions. (After all, the man knows his strengths!) 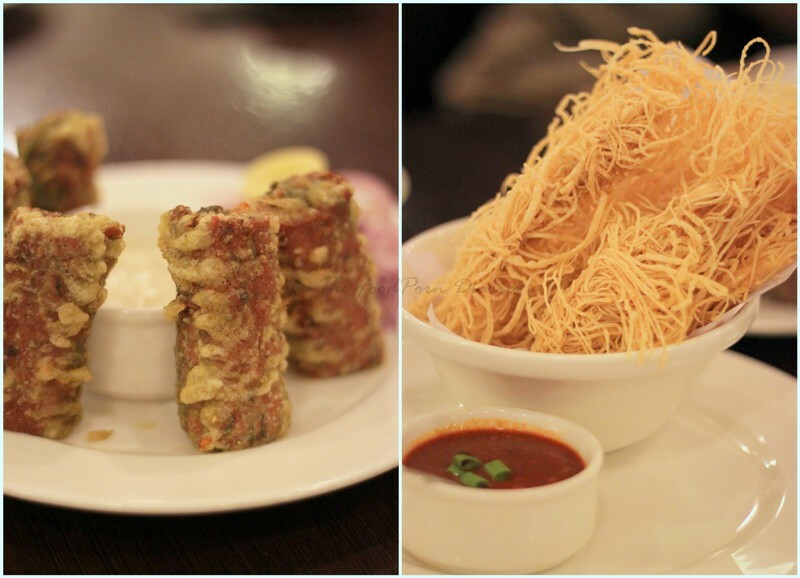 I’m always very excited to try something I’ve never eaten before and the Charminar Seekh Kebab seemed all things exotic. This was a juicy lamb kebab stuffed with minty yoghurt and then deep fried. The crispy outer layer gives in to the juicy kebab and then you hit the oozy yoghurt center. Super win! The Thread Chicken is something that you could get in Old Bangalore Chinese restaurants, like Rice Bowl and Taipan. 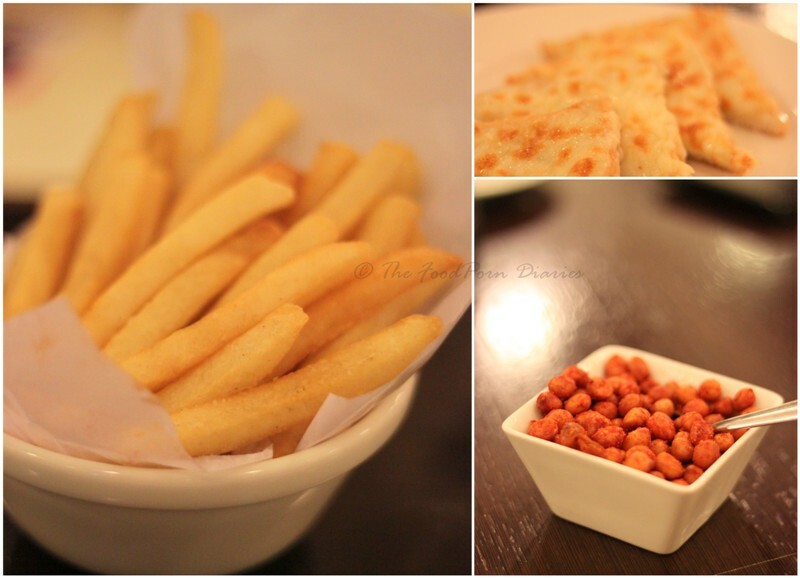 It’s something that we always ordered and relished as kids, because it was so cool. What it essentially is, is a chicken strip lightly seasoned and wrapped with noodle like threads and deep fried. Don’t bother using a fork and knife for this; you’ll just end up making more of a mess. Pick it up, dip it in some hot garlic sauce and pop it in your mouth. Easy peasey! We ordered something from every cuisine to ensure we did a decent sampling of the wares. Here’s a quick lowdown on what came out tops and what you can pass over. 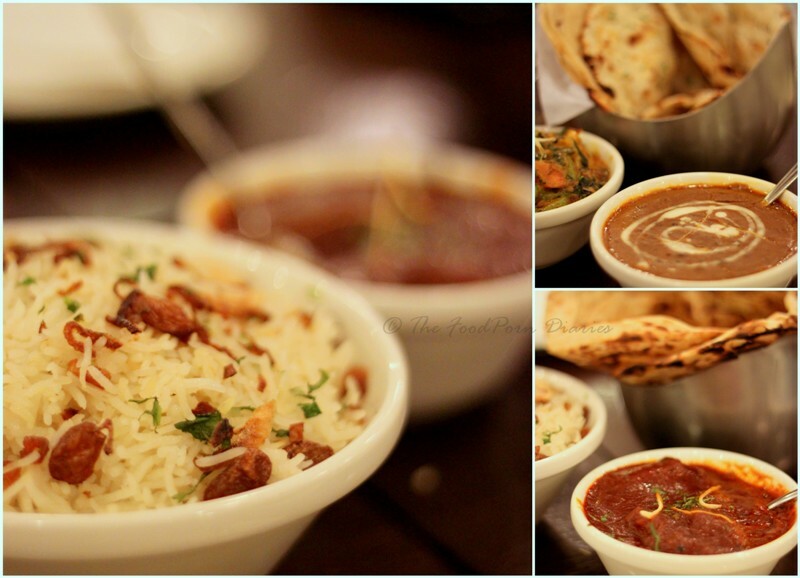 The Mutton Roganjosh was a robust Kashmiri curry of lamb in yoghurt and spices. This went best with the lightly seasoned pulao. The Dal Makhni was really good as well and we got a tandoori roti to complement it. 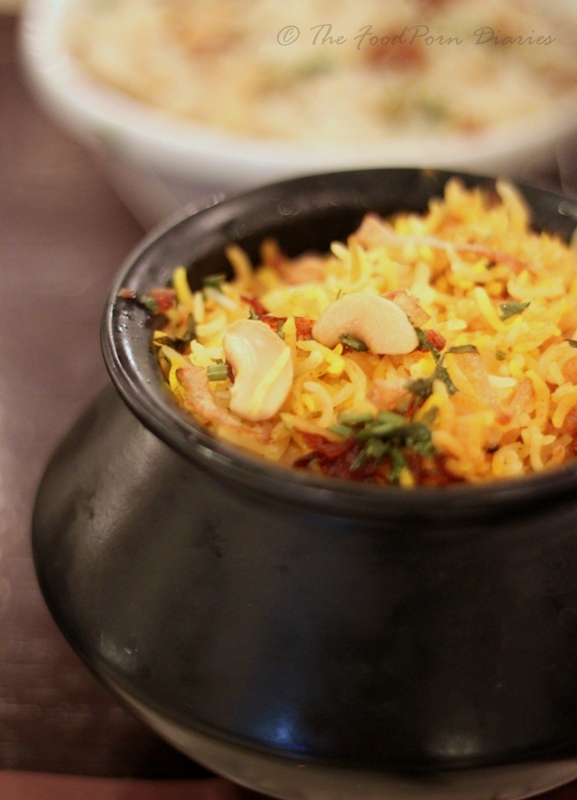 I ordered a pot of Dum Biryani for myself because I was in the mood for something hearty. I obviously chose the Mutton Biriyani (there’s nothing that can beat the flavor)! It was heavenly – meat cooked to a perfect pink and literally falling off the bone and the rice was fluffy and soft and flavorful. I’ve always said I’d like my last meal on earth to be a biryani – there’s nothing that rocks my boat more than a one pot meal of awesomeness. We quickly came to realize that if you want to get your money’s worth in Linx, sticking to the oriental fare is your best bet. The Stir Fried Minced Chicken with Basil was a runaway hit and reminded me of the ones that you get on the streets of Bangkok. The Egg fried rice complemented it well, though traditionally it is eaten with plain steamed rice and a fried egg. 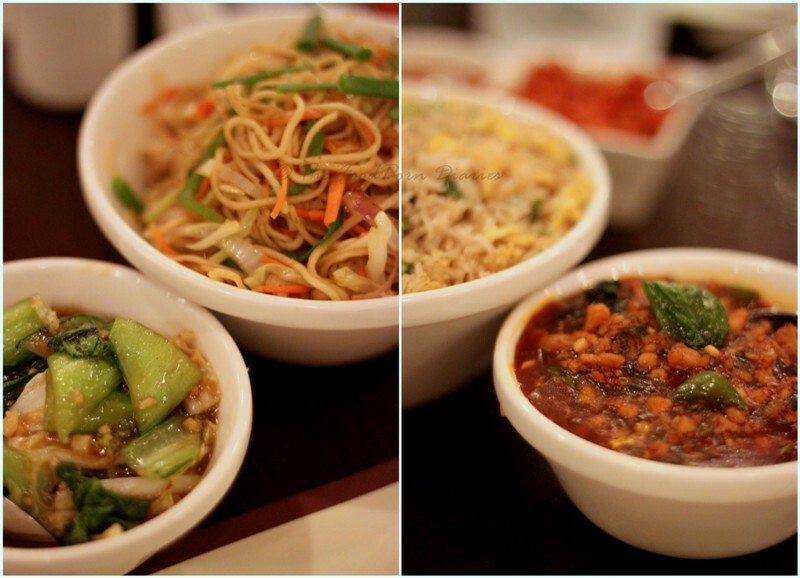 The Stir Fried Chinese Vegetables and Greens, we choose to pair with the basic Hakka Noodles. Someone else on the table ordered Chilli Garlic Noodles and proclaimed that this beat the hakka noodles to a pulp. But I would still order the Hakka noodles if I’m planning to get a side dish as the chilli garlic one might overpower every other flavor. My sister ordered the Grilled Fish with Lemon Butter. Honestly, I was sniggering. Expecting to find fresh seafood in a restaurant in Bangalore, including a five star is generally a miss more that a hit. But lucky for her – the fish was fresh and cooked perfectly. And I was happy that it was not the ubiquitous Basa, but the very affable Betki. Score! The only downer was the Farfelle with Cream Sauce. Though the person who ordered it, pretty much wolfed it down, I thought it was lacking in flavor and finesse. 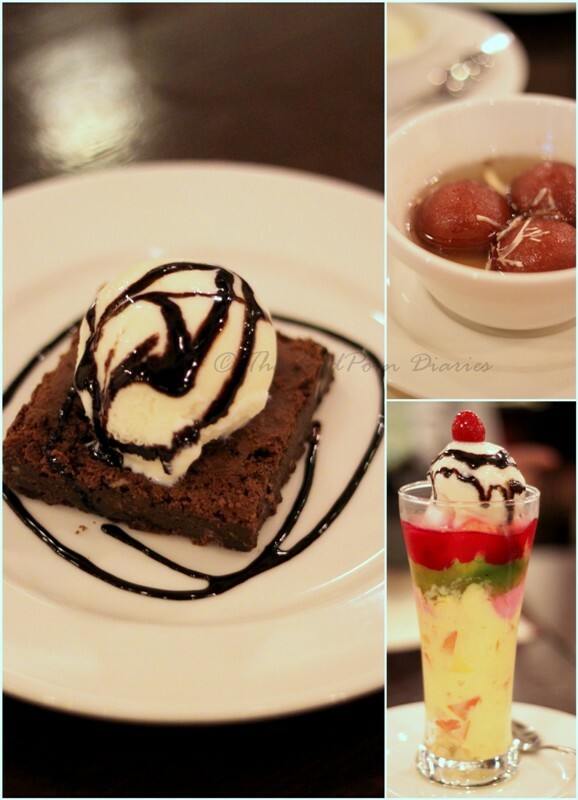 The desserts were again the usual crowd pleasers – Browine with Ice cream, Ice Cream Sundae and Gulab Jamoon! Nothing to complain about. The highlight though was the Fried Ice Cream. 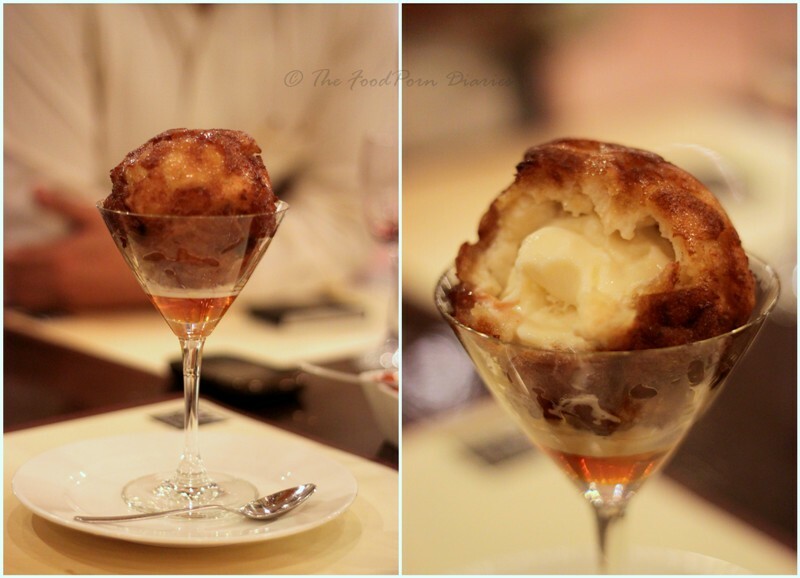 A breaded scoop of ice cream, quickly fried and dipped in a honey sauce. The fun bit is to cut it open the hot shell and still find the cold ice cream in perfect shape inside. He he he … yes I was more excited than the kid on the table! 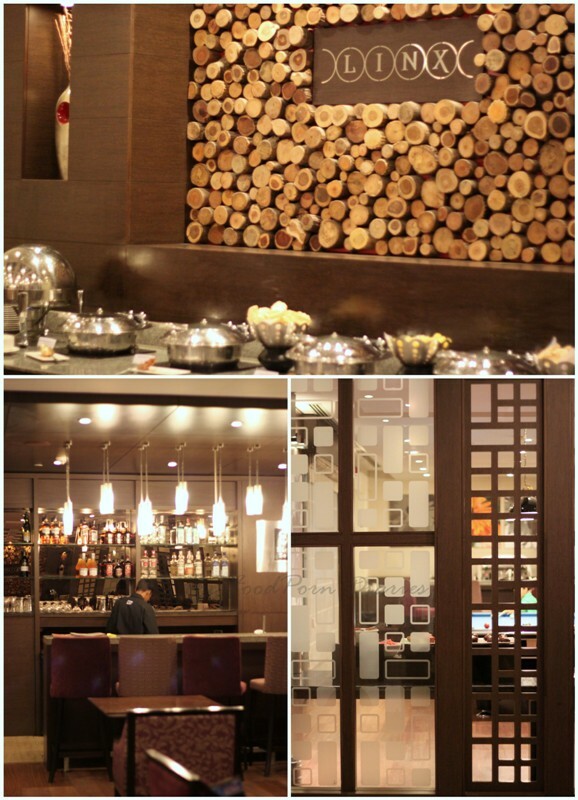 I would recommend Linx for a quick bite for dinner or a good workday buffet in Whitefield. Linx also has an option to supersize your portions by adding about 200 bucks to the existing cost of a dish. For office-goers looking for a good deal – this pretty much lands it! The alcohol though, I found a tad bit overpriced (Cocktails cost Rs.385/- + taxes and a glass of Sula wine is Rs.450/- + taxes), so I would err on the side of caution while deciding to get drunk here! (But I saw enough and more people that were enjoying their tipple that night, so go ahead and splurge!) On the whole, I had a happy and satisfying meal with nothing to complain about. And on a Friday night, post work – that IS a blessing! 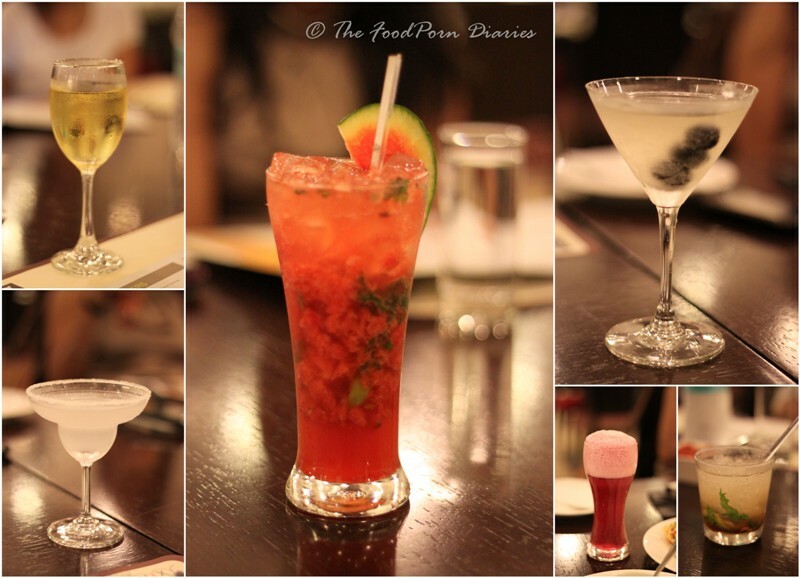 Cost: Appetizers from Rs.150/- onwards, Mains Rs.150 – 300/-, Buffet Rs. 399/- plus taxes.